New Straight & Curved Stairlifts supplied & fitted. SMS Stairlifts offer a full range of new stairlifts from all of the major manufacturers, from the smooth and quiet Brooks superglide 130 to the state of the art Thyssen stairlifts, with next day fitting available on most of our new stairlifts, and a two year warranty covering all call outs, parts and labour charges. Call today for a free no obligation quote 0800 0789 087. 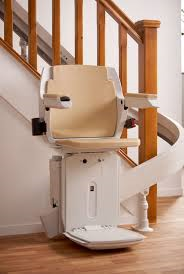 Once one of our surveyors has made a free no obligation home visit to advise you on your best options, your new stairlift will be fitted by one of our fully trained engineers. 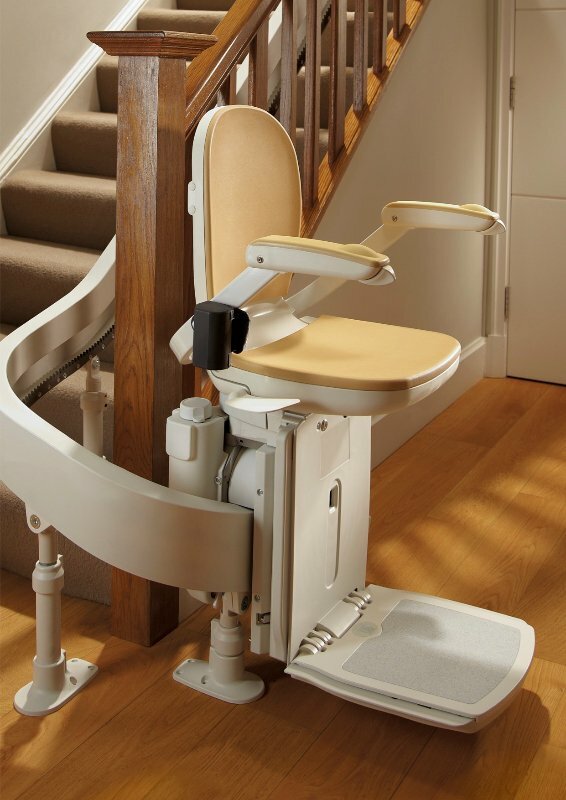 The Brooks 180 can be designed for any curved staircase, this curved stairlift offers a comfortable and reliable ride, with the advanced self-levelling system the carriage moves along the modular rail smoothly coming to a soft stop. With its low running costs, it even operates through a power cut. The sleek and modern rail system is unique to this stairlift. There is no waiting weeks to have an expensive rail made for your home, the modular rail can be installed in a matter of days with no mess and no fuss.